Wealden Country Landcraft Ltd is owned and operated by Adam Sutton BSc (Hons) Environmental Science and Tim Playfoot BA (Hons) Garden Design. We are able to offer landscape services ranging from the design of your garden and the implementing of that design, to complete garden maintenance or just a contract to cut your grass or hedges. Whether it is a Garden design, Garden Maintenance, Lawn Treatment or a Hard Landscaping project, new house, new garden or you just want to create a new area within your garden to update a tired unused space, then our garden design service will be beneficial to you. We work on small and large projects so we are able to help you realise your garden's potential what ever the size and budget. 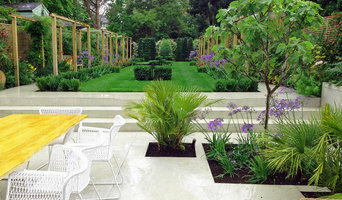 We are able to offer expert advice in Planting design and Selection. We have a wealth of nurseries and growers that we deal with on a regular basis and can usually get hold of unusual or hard to find plants and trees. Once sourced these can then be planted in your garden after which we can provide the professional plant care that is required. Simon Scott Landscaping Ltd is a garden landscaping company run by Simon Scott and Sophie Cameron. 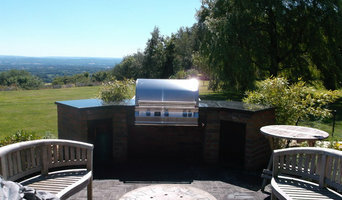 We are professional, knowledgeable and love working with people to create their perfect outside space. We work with private individuals and garden designers to build beautiful gardens. 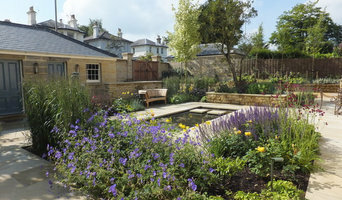 Our projects range from small garden improvements to the management and build of large scale garden designs. We work with friendly and experienced hard landscapers, soft landscapers and horticulturists. We believe it’s crucial to work closely with our clients at every stage of the process. We are based in Lewes, East Sussex and work with clients across Sussex, Kent and Surrey and further a field if a project requires it. Please do get in touch for a chat and we’re very happy to come and meet you to talk about your plans and ideas. Fantastic Services provide professional property maintenance to the residents in Brighton & Hove. The company specialises in a variety of easy to customise cleaning, removals and gardening services to match every expectation. The cleaning services include carpet and upholstery cleaning, oven cleaning, window and gutter cleaning. You can count on us for your next moving and some additional services like packing, furniture assembly and storage. Additionally, we provide garden maintenance, lawn care and tree surgery. Fantastic Services has lots to give to the Brighton's residents. Tested quality, affordable pricing options and a wide range of services has made us a top brand. We clean, perform removals and do garden work every day of the year, so do not hesitate to contact us 24/7. For more information about the services we provide, visit our website. Greenwood Gardens offers a dedicated and reliable garden maintenance service throughout Surrey, Sussex and Hampshire. I am a passionate gardener who takes care and pride in all gardens I have had the privilege to work in. Intelligent Garden Design and high quality Landscape construction. BALI Registered landscaping contractors All aspects of landscape garden including hard landscaping, soft landscaping, and groundwork. Domestic and commercial. 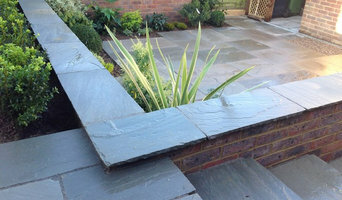 Limitless Landscapes Ltd are landscaping contractors based in West Sussex. We aim to provide an exceptional service to all of our clients, we strive to create inspiring outdoor spaces for everyone to enjoy. 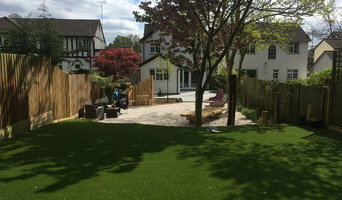 ESSE Landscapes offer a multi award-winning, comprehensive design and build service covering the private and commercial sectors. Construction work is undertaken by our team of experienced specialists to the highest industry standards. WELCOME to Waller & Son Property Services. We are a family business based in Worthing and we offer a wide range of professional services inc: Landscaping, garden design, fencing and gates, decking and pergolas, artificial lawns, driveways, patios and paths, turfing, property maintenance, painting and decorating + more. We are proud to say we have a passion for our work and have built up an excellent reputation by supplying quality workmanship, using only quality materials and also offering a reliable and professional service to our customers. We take on both commercial and domestic work and have many repeat customers. Contempory garden Designers,and horticulturists,we design and source for the modern garden, we use art and structure in our gardens and look for different features, we try and provide something very different,If we cant find what we are after ,we will make it,We can provide the full spectrum of design, materials, construct and management for our clients,we have over 35 years of experience in the landscape field and have worked world wide for some of the biggest architects and designers on very large projects and have our own portfolio of some exciting houses and projects. We have been creating landscaped gardens for over 30 years. Offering the full service from design to completion our friendly team will ensure your project runs smoothly and results in a stunning space to enjoy for years to come. Your Ideal Garden - In Town And Country With many years of landscaping and gardening in the Sussex and Brighton areas, we combine the artistic and creative flair of our designers with a real depth of understanding about what works best in the landscapes of this beautiful area. Landscaping With Style And Experience Founded in 1999, the name of Goddard’s has become synonymous with creativity. As a pro-active landscaping company for Sussex, Brighton and the surrounding counties, we have earned this reputation because: * We bring passion and creative flair to your garden. * We remember it’s your garden, and that you’re in control. * Our standards and finish are second to none. * Our forward thinking approach means we have a long list of happy customers. Landscaping And Gardening For Our Environment We are fully committed to conservation, and always minimize the environmental impact of our landscape gardening by: * Planning and working efficiently. * Minimising waste. * Recycling waste where possible. * Minimise harmful emissions from our vehicles and equipment. * Sourcing and promoting a product range from suppliers who also follow our policies. Why should I hire a Brighton, East Sussex gardener or landscaper? Even if you do have a few green fingers yourself, gardeners in Brighton, East Sussex will have the experience and training to carry out larger landscaping projects and will have the eye for what works best where and when in your garden. They may work with a landscape designer or architect who will put together the plans that they then execute, or they may do this work themselves. If you’re looking for a Brighton, East Sussex landscape architect, or perhaps you want to select your own garden supplies yourself, then you can find the right professionals for this on Houzz, too. Here are some related professionals and vendors to complement the work of outdoor lighting & audio/visual systems: Landscape Architects & Garden Designers, Landscape Contractors, Decks, Patios, Sheds & Summerhouses, Cladding & Exterior Contractors. Once the plants have been chosen, planted or potted, and the lawn or patio laid, then your garden will be ready to enjoy, but never completely finished. Like all living things, your garden will grow and change with time and the seasons, so it will need a bit of TLC and garden maintenance from time to time. This is when you may want to hire Brighton, East Sussex gardeners again, especially if you have a very large garden or landscaped area that needs constant upkeep. Hire Brighton, East Sussex gardeners to water, weed and prune your plants, keep the lawn trim and green, and cut back any over growing trees. Some Brighton gardeners may source their own garden supplies, while with others you may have to do this yourself. Find landscapers or gardeners on Houzz. Narrow your search in the Professionals section of the website to Brighton, East Sussex gardeners and landscape contractors. You can also look through photos of Brighton, East Sussex landscapes and gardens to find one you like, then contact the Brighton, East Sussex gardener who worked on it.